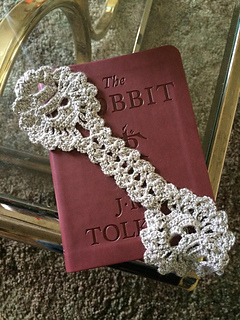 This lovely bookmark is an altered pattern originally designed by Maryetta Roy Lost Souls Skull Shawl. Permission was given by Maryetta Roy to use her skull motif. 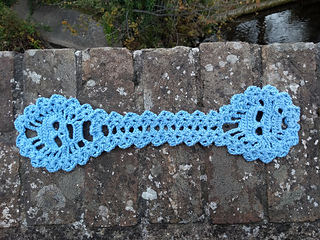 This can be made with any weight yarn and any size hook. The second to last “ch3” was added unintentionally. Please disregard.